Made from American curly maple, bird’s eye maple, and sugar maple. Custom-designed wall unit that is used as a broom closet, bookcase and wine rack. Commissioned by local client and installed at his lake house. 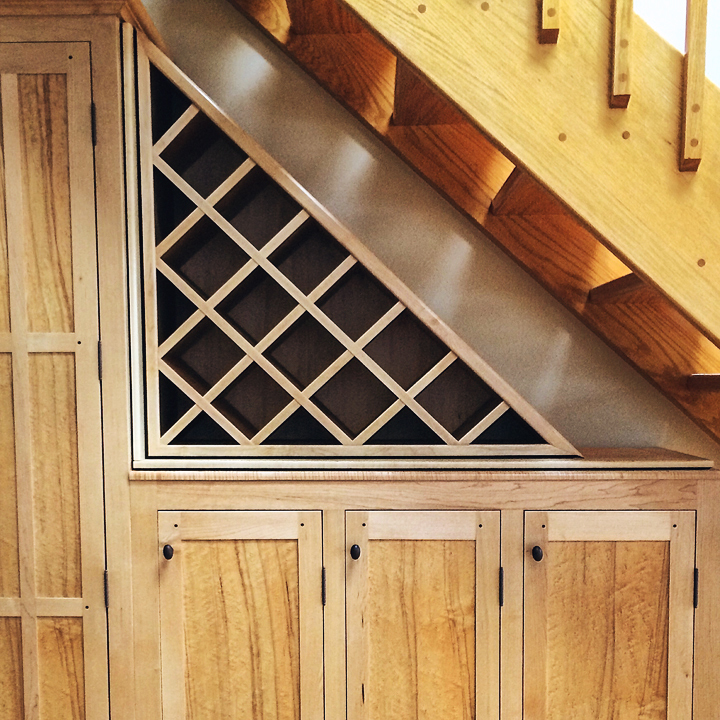 Key design element is triangular wine rack, which matches angle created by this stunning home’s open staircase.Wood species and dimensions customizable.